We had enough and we took our case straight to the top! All the way to the top, all the way to the Neal Supreme Court. Okay maybe it wasn’t quite so drastic, but to my fantastic 4th graders we had some serious legal issues to debate and debate we did! 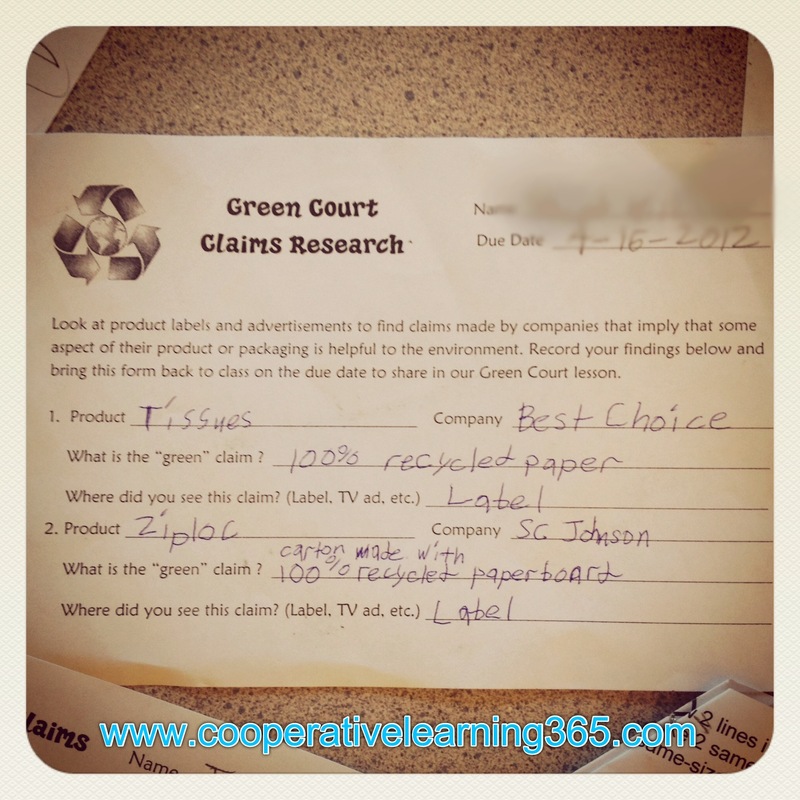 Laura Candler from Corkboard Connections has a fun project titled Green Court Claims. Here is a summary of how we put this fun project to the test. To begin we discussed what we were all familiar with, recycling, although very few claimed they did it. The most common material that students recycled were soda cans. This led to the discussion of how there are many companies that are “going green”, claiming that their products are environmentally safe. This intrigued them, and they set out on a classroom mission to find products with some type of claim. After a few short minutes they were finding all kinds of things claiming to be of recycled materials or environmentally safe. It was amazing how many items they found in a short amount of time. Fact: Did you know that on a small box of 24 count Crayola Crayons you will find three claims? They even have a trademarked initiative called Crayola Eco-Evolution! After our classroom scavenger hunt they were sent on their first mission. They were to go home and look for items in their own house that claimed to be “green”. They came back with a wide variety of claims including tissues, cleaning products, plastic bags, and even dog food! 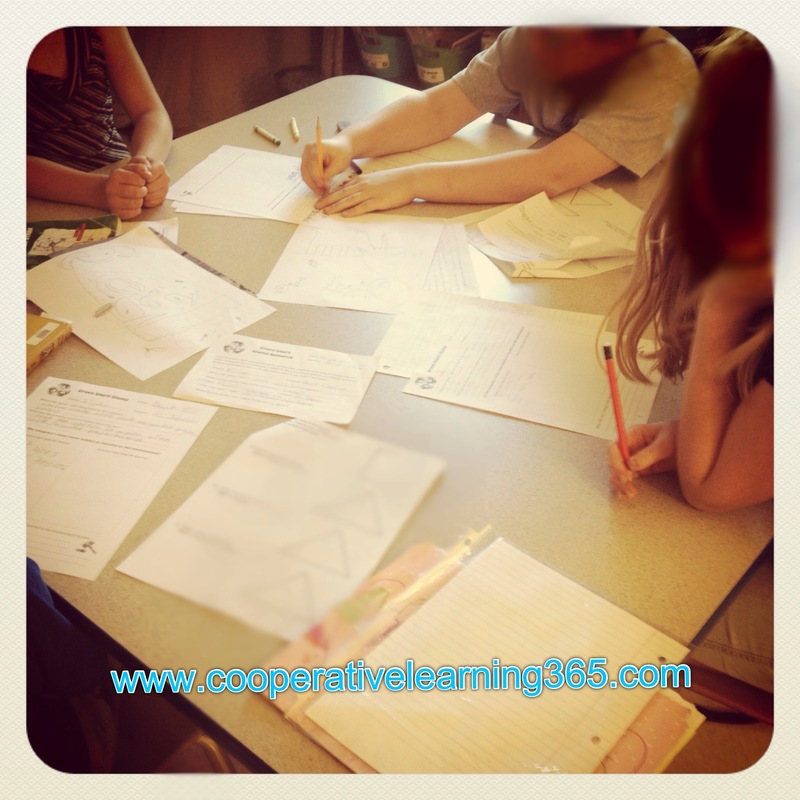 Students worked in teams of four. Each team came to a consensus on what product they would research and bring to the court, also known as their fellow classmates. After a bit of deliberation, team members came to an agreement and they were off on their next mission. They were going to try to prove their side. Coke- not due to packaging but due to the amount of water that is used in making the drink. This actually blew my own mind! Bottled water- due to plastic of course but also they found out that some brands of water, exported from other countries, actually have their own people getting sick as a result of a limited supply of clean water. TerraCycle Notebooks- these notebooks are made from recycled candy wrappers. It was the first time I had seen one, but I do have to admit they were fairly cool! After all facts were gathered, students were ready to present their case. This part was the most fun and they LOVED it! All silliness and 4th grade behaviors were set aside, they were lawyers and jurors ready to take a stand! Students were asking some serious real-life questions. Some of the students were getting down right defensive. Things were getting personal, in a good way. It was fun to see them take it serious and think about real consequences of their actions. When all was said and done my students voted that all but one product was harmful for the environment in one way or another no matter what the company claimed. This was a fun project and I can vouch for the fact that it has most definitely raised awareness with not only my students but with me! I now feel extremely guilty drinking a bottle of water or a can of soda, especially with 22 sets of eyes on me!! To learn more about this project and to download your free lesson and activities, make sure to visit Laura Candler’s Corkboard Connections. « It’s a Jackpot and Everyone Wins!